This home is definitely a must see! 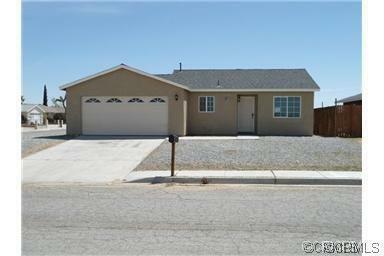 4 bedroom 2 bath cute home in Adelanto. This home has been upgraded to tile flooring, granite counter-tops, newly painted. Front yard is fully rock-scaped to help save on water. Close to shopping and close to the 395 for those that need to commute. Directions: Take Bear Valley Rd. North, Turn Right Onto Us-395 N, Turn Left Onto Air Base Rd/Air Expy, Turn Right Onto Verbena Rd. Destination Will Be On The Right.